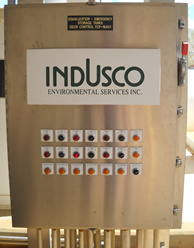 Indusco Environmental Services, Inc. usually supplies all of the ancillary items required for proper operational control and monitoring of air pollution control and chemical process systems. Typical items provided as part of the control process control are; pH, ORP, conductivity, temperature, liquid level, liquid flow, gas flow, pressure and differential pressure, solenoid valves and control valves. 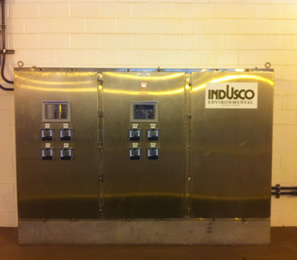 The supplied instrumentation can be economically controlled locally with a basic control panel using switches and relays. 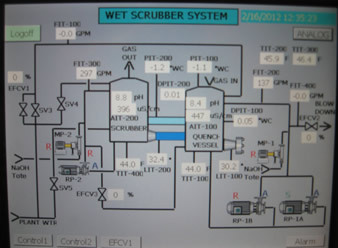 However, most facilities prefer a more sophisticated means of controlling the scrubber systems or chemical process applications by incorporating the use of a PLC based control panel. 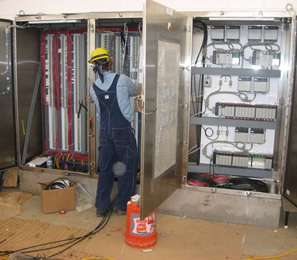 IES provides state of the art programming for the control logic for each supplied system and is well versed in adjusting the process to meet the specific needs of each client.